FARNBOROUGH, England — While Lockheed Martin continues to suggest it will use Rocket Lab’s Electron rocket at a Scottish launch site announced at the beginning of this week, company officials said July 17 they have yet to formally select a vehicle to fly at the site. The U.K. Space Agency awarded $31 million to Lockheed Martin July 17 to establish operations from a new launch site in Sutherland, Scotland, that the agency announced a day earlier. That funding will also go towards development of an upper stage, called the Small Launch Orbital Maneuvering Vehicle, designed to place up to six cubesats into orbit. Neither the agency’s announcement nor a separate press release, though, identified the launch vehicle that Lockheed Martin would use. At a press conference during the Farnborough International Airshow here July 17, company and government officials were similarly coy about the identity of the vehicle. 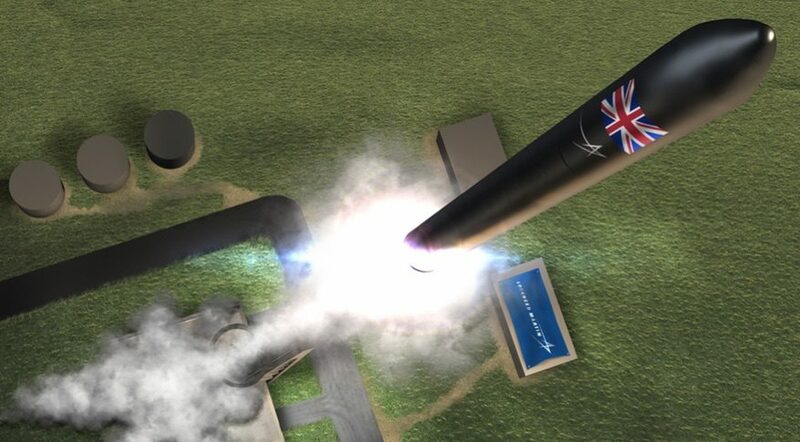 “They offered tried and tested technology, an established launch vehicle,” said Mike Taylor, spaceflight program director at the U.K. Space Agency, in remarks discussing why the company received the largest award of any company proposing launch or spaceport development in the country. Most industry observers believe that vehicle is Rocket Lab’s Electron. The rocket is a commercially developed vehicle designed for small satellites and performed its first successful launch in January. Moreover, Lockheed Martin made a strategic investment in Rocket Lab in 2015. Their comments came several hours after Rocket Lab, in a statement, said the company was “evaluating launch opportunities” from the Scottish site, but did not commit to using the spaceport. One potential use of the spaceport is for responsive launches of military satellites. “A military capability perspective that I am interested in is the ability to do responsive space launch,” said Air Vice-Marshal Simon “Rocky” Rochelle, chief of staff capability and development at the Royal Air Force. The details of such a capability are still being worked out, he said, but could include launches of off-the-shelf satellites on 72 hours’ notice.